This is a residential animal communication recharge retreat for connection and soul-growth. You’ll be sharing 3 days and nights within the smallest retreat group where you’ll be learning, growing and rowing together with the support of mountains, lakes and guidance from Pea and wild animals. 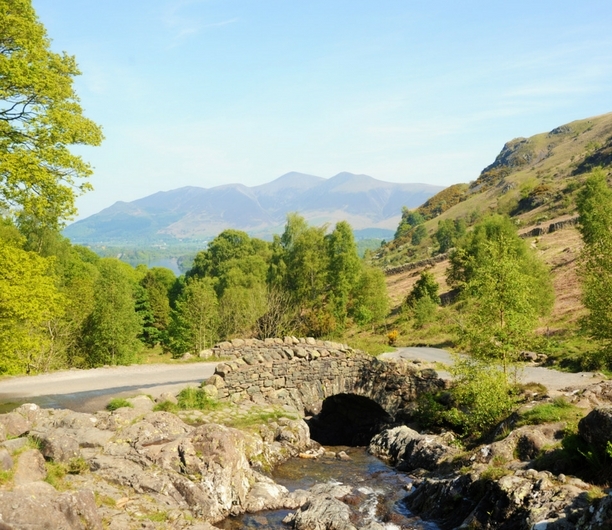 Immersing yourself in what is often called the most beautiful corner of England with space and time to relax and breathe. Complete the Retreat Interest Form below and I’ll make sure you receive priority booking notification before new retreats are announced to the general public. This retreat is going to be unlike any animal communication experience you’ve attended. Join others with a passion for animal communication and the outdoors. I’m offering you a chance to step away from your responsibilities for a while, to plug back into source and recharge your soul. 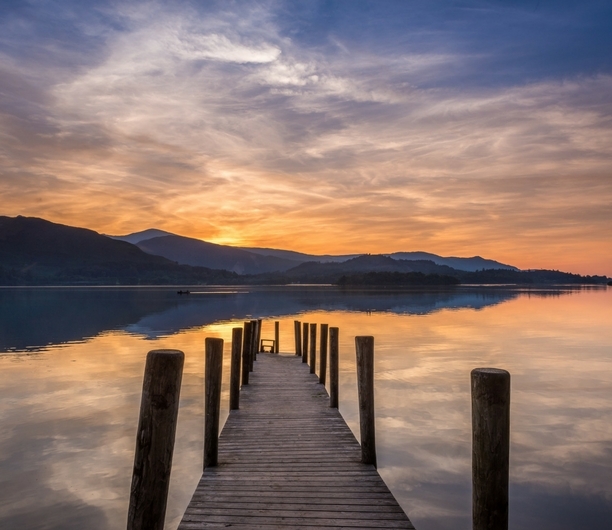 This Lake District retreat can help you learn more about yourself in order to remove any obstacles to clear, confident and effective communication with animals. Along with animal communication sessions, there are walks, where we’ll talk, be silent, meditate and enhance our communication and sensitivity to other beings. You’ll also spend time out on the lake to fully immerse and to surrender to the rhythms of water and to open your senses from a different perspective. We will have sole use of a historic guest house which won Travellers Choice award 2017. The hosts are friendly, relaxed and knowledgeable about the area, which they love. The ambience is light, open and energetically clean. Oh, and did I mention it’s cozy and comfortable too! They are fantastic cooks, animal lovers and look forward to providing us with vegetarian meals. I have stayed here which is why I feel it’s perfect for this retreat. The retreat starts on Friday at 4pm with a welcome afternoon tea and meet and greet to enable you to get to know your fellow participants and start the very important job of relaxing. Your retreat ends with breakfast on Monday morning and hugs of farewell with your newly-made friends. Check-in to your beautiful home for the next 3 nights and meet your fellow retreaters over afternoon tea and cake. We’ll then head to our dedicated sanctuary space for an opening meditation and intention setting, followed by a casual wander to the stunning lake view. This is where you’ll really start to let go of all your responsibilities and breathe in calm. We’ll share supper and conversation at the guest-house before retiring for a restful nights sleep surrounded by the energy of mountains and clean night air. A scrumptious breakfast is served from 8-9am with a freshly prepared fruit smoothie of the day. You can then go on to help yourself from the Scandinavian-style breakfast buffet table. You can also choose from a daily changing menu of cooked breakfast choices. After breakfast we’ll gather to receive our packed lunches and fill up our flasks in preparation for a walking safari. Safari means ‘journey’ in Swahili. On this 3 – 5 hour walk we’ll walk for outstanding views, chat away to the animals and birds who cross our path and merge with the spirit of nature. After reaching the half way point, where we’ll take a pause and have a snack, we’ll return along the lake shore to experience the energy of the lake, wildlife and trees. Arriving at our guest house you’ll have some personal time to read, rest or reflect. Then we’ll gather in the sanctuary again for communication time. There will be another break before supper, which will be followed by a meditation for the group. We’ll start the day with breakfast served 8-9am, then gather for a 3-hour canoe safari to shift our perspective from terrestrial earth to the water that makes up much of the planet and also ourselves. As we get to grips with the practical element of canoeing with a canoe buddy there may also be personal ripples of discontent that come to the surface enhanced by being on water, which is the emotion element. Be ready for spontaneous communication with creatures encountered and practising how to communicate assertively using non-violent language with a fellow human being. A light packed lunch will be enjoyed on one of the small islands with home special trees and nature spirits. Once back to land, take some personal time to sunbathe, sleep, shop, whatever you need from the precious time you’ve allocated for your-Self. Around 4pm we’ll gather again for our second walk to take in the energy of a sacred stone circle. Afterwards we’ll head back to our hotel to share our farewell group supper. Beautiful breakfast between 8 – 9am, followed by hugs and farewell. Please note: This schedule is subject to flow and fluidity. You need to have attended workshops with Pea or another reputable animal communicator. I’m sorry, this is not suitable for complete beginners. Please check out the Introduction to Animal Communication Workshop and see if you can attend a course with me to be eligible for this retreat. How do I know if the Lake District animal communication retreat is for me? You have adequate fitness to walk on uphill and on uneven ground for 3-5 hours. You’ve been interested in attending a retreat with Pea but haven’t yet managed to make it to Egypt, Panama or Hawaii. *Please note: If you have any questions about the retreat or your suitability to attend, please contact us and lets have a conversation prior to booking. Each booking includes a £300 non-refundable deposit. There are only 7 rooms available. The balance is refundable if notification is received by Animal Thoughts no later than 30 days prior to the first retreat date. Full T&C’s and Release of Liability are detailed with the registration form. Places are first allocated to those who registered the Retreat Interest Form (2 weeks priority) and then on a first-come first-served basis. *We will only allocate twin share to friends who have arranged to stay together. We will not put you with someone you don’t know. Therefore please assume you are booking on a single occupancy basis unless you have arranged to attend with a friend. Please also be mindful if you snore or if you’re a light sleeper, which may impact on a twin-share and please book a room to yourself. Pretty much everything! All your accommodation, meals, safaris, guidance and a few extra surprises too. Animal Communication sessions and meditations intuitively held and guided to the needs of the group by Pea Horsley, indoors and outdoors. Note: We are in the hands of nature, come prepared because the best release and cleansing can occur in the rain! Being stuck in a room all day! 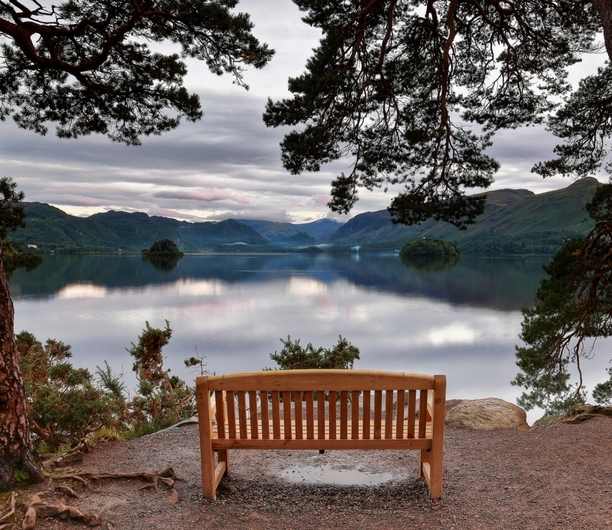 This retreat will be based in Keswick. You are advised to arrive between 3 – 4pm on Friday. There is no access earlier than 3pm. Nearest train station is Penrith Station. From Penrith to Keswick the cheapest method is bus, approx. £14 return. Taxis between Penrith and Keswick are approx. £30 one way. If you are travelling by train alight at the Penrith Train Station, then take the bus from outside the Penrith Train Station directly to Keswick bus station. Let us know your arrival time. Pea will try and give you the VIP treatment and meet everyone individually at the bus station then take you up to the guest house. Otherwise we’ll provide you with the exact address and you’ll be greeted inside the guest house. The most convenient airport is Manchester airport. From here you can take a direct train from Manchester Piccadilly train station to Penrith then catch the bus to Keswick or take a taxi. If you’re travelling by car, please aim for a street called The Heads. Let Pea know when you aim to arrive and we’ll provide you with the exact address and you’ll be greeted inside the guest house. There are limited private parking spaces at the rear of the guest house. Please note: Cars are not required for this retreat. Our retreat will be based at Hillcrest22 where we will have sole use. 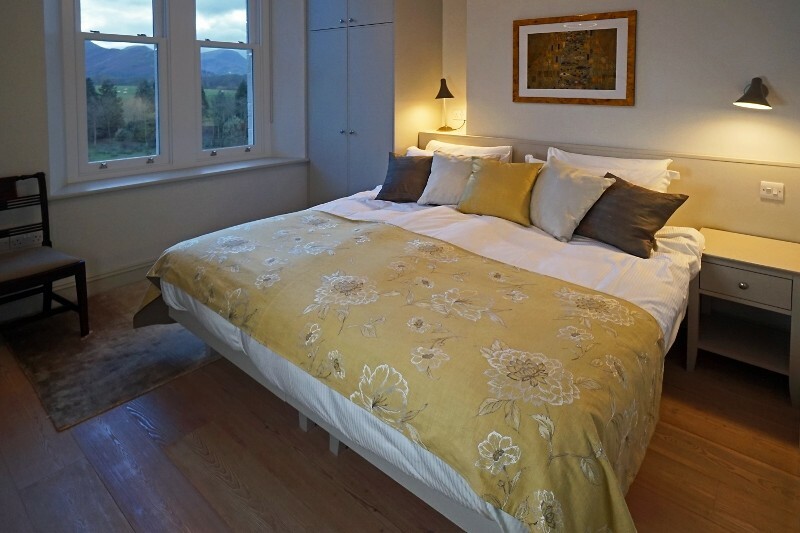 Four rooms have panoramic views over Derwent Water and the surrounding mountains. 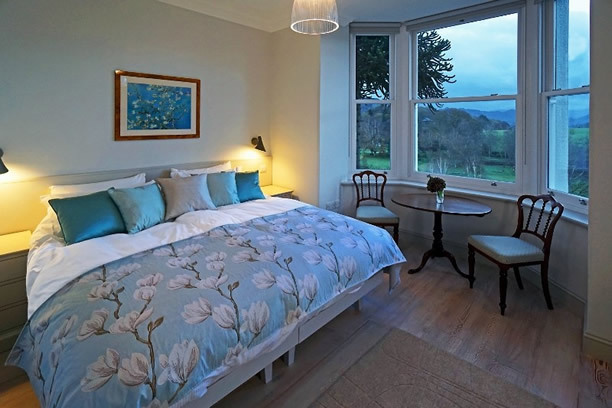 The other rooms have stunning views over Keswick, with Skiddaw and its neighbouring mountains forming the backdrop. There are 2 smaller cozy rooms. 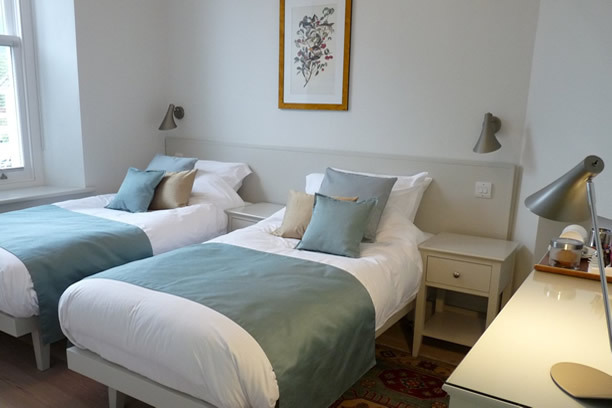 En-suite bathroom with under-floor heated marble floors, heated mirrors and complementary toiletries. Option of a king size or twin beds with 100% luxury cotton linen. Thermostatic central heating programmable to your preferred room temperature and double-glazed windows. Hospitality tray with selection of teas, coffee, hot chocolate, mineral water and delicious home made biscuits.